We roll in a mini-van. We have a rubbermaid bin full of toys, diapers and extra clothes. We travel long distances during naps or plan active stops to break up the monotony. We have an Elmo DVD that we break out on occasion. We let the kids eat in the car. This method has evolved over time. 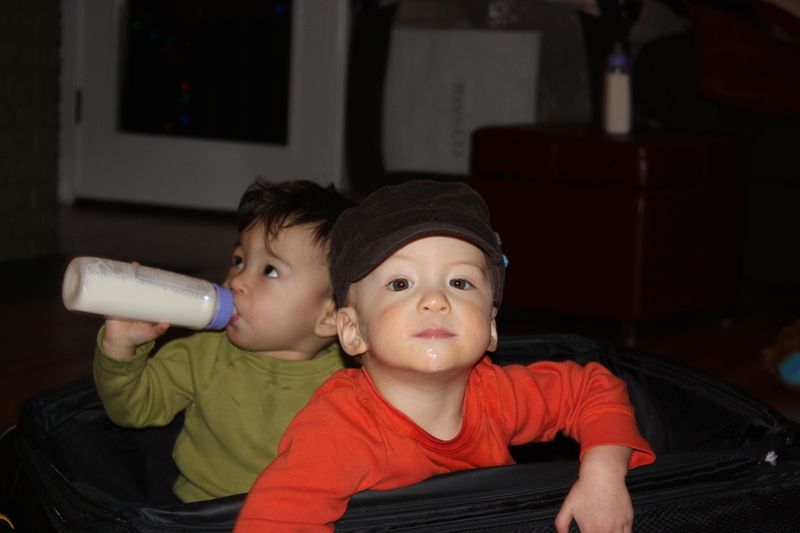 On our first long haul to Hawaii when the kids were 9 months, we carted a pump, a zillion bottles, bucket seats and a double stroller. Now we drop me off curbside with the kids and our luggage, and I entertain and supervise till help arrives. If we forget something, we buy it. We’ve even bought and sold a pack and play in Hawaii on Craigslist.